Home Brain Health Toxin Or Health Superstar? They would have told you selenium has no known health benefits. And they would have told you to avoid it at all costs. Now, the opinions on selenium have shifted towards the positive. Before I tell you about the benefits of selenium, let me forewarn you about selenium and it’s potential for toxicity. The reason researchers would have told you selenium is toxic is because at certain levels selenium can actually be toxic. It is a heavy metal and it’s one of the the few essential minerals that you need in precise amounts. Too little, and you won’t get enough to sustain many biological functions. Too much, and you risk doing harm to vital organs. Let me give you the details about selenium, why it’s important, where to get it, and how not to overdose on it. What’s Selenium Even Good For? What is selenium, and what is it even good for? One of the main reasons you need selenium is because it plays a role in the activity of the antioxidant glutathione. You need glutathione for a variety of reasons, but the one I pay close attention to is how it helps yours body detox. Without selenium, glutathione won’t help you detox from toxins. Of course, that’s not all selenium does, but it’s easily one of the most important functions. Selenium naturally occurs in a variety of food sources. The most popular sources include Brazil nuts, poultry, fatty fish, cereal grains, as well as eggs. 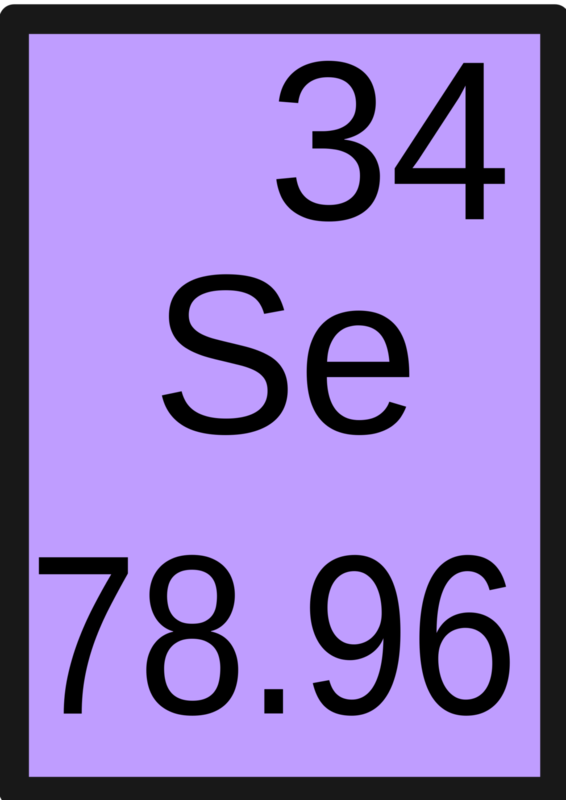 The recommended daily value for selenium is around 55 mcg. Most Americans get 200%-300% that amount in their diet as selenium is added into many fortified foods, or because they eat a large amount of selenium rich foods. At first glance, getting that much selenium may seem to be a problem, especially given the fact research shows elevated levels of selenium in the blood may lead to problems with blood sugar regulation. But there are studies supporting these levels are also associated with better overall health. I’ll offer my personal recommendation at the end of this article. But, before I do, let me give you the top 3 reasons to ensure you’re getting enough selenium in your diet. 1 – Supports Thyroid Health:Most of the selenium found in your body is held up in your thyroid. Selenium is essential for thyroid function. If you ever become deficient in selenium the thyroid will cease functioning properly and you may develop any number of autoimmune thyroid diseases. I’ve found that one way to help people combat diseases like Hashimoto’s is to up their selenium intake. The same thing can be said of treating Grave’s disease. Researchers at the European Thyroid Journal concluded that while more research needs to be done, it’s been observed that people with Grave’s disease and suboptimal levels of selenium benefitted from 200 mcg of selenium a day and this kind of supplementation may even lead to remission. In a recent article I wrote, I showed just how important omega-3 fatty acids are for brain health. Most people get their omega-3s from fish sources. As I noted earlier in this article, fatty fish are a great source of selenium. And while Omega-3s in fatty fish certainly help improve brain health, the selenium present in fatty fish is essential for your brain to function at 100%. “Selenium works in synergy with the fatty acids, preventing their breakdown and enhancing their beneficial effects on cognition. In one study on 200 older people, fish intake increased selenium blood levels more than omega-3 levels. Better cognitive function in the elderly may depend directly on selenium]. If you’re concerned about fertility, then it’s important you maintain healthy levels of selenium. This is true for men and women. For men, selenium is essential for the formation of sperm and for the production of testosterone. Studies have shown that selenium supplementation for men with low levels of selenium were effective at increasing sperm motility. In a study of 69 men who were mildly infertile, selenium supplementation helped almost all of the men in the study gain increased sperm motility. And it only took 3 months. Even better for the men in the study, 11% of those who took selenium impregnated their partners whereas men in the placebo group didn’t get their partners pregnant. This is in addition to animal studies where subjects given selenium saw their testosterone levels rise greater than placebos. The truth is it’s safe to supplement with more selenium than what most would say is allowable. We’ve tested and tested with our patients and have discovered 200mcg for women a day and 300mcg a day for men is appropriate. You will receive all of the benefits listed above with these doses. We don’t make a selenium supplement at the moment. One bottle will last three months. To get yours, simply click here or on the image below.